Great building lot with plenty of room. Ideal for a small gentleman's farm. 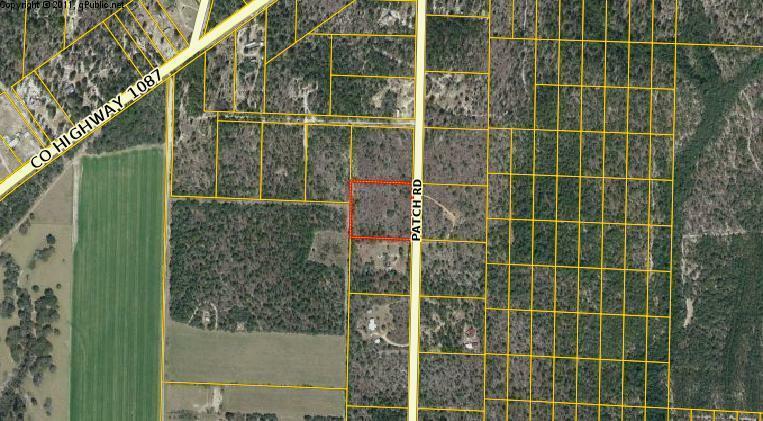 Land is level and does have a few mature oaks scattered on the property that would make ideal home sites. Less than a mile back to 1087 making for an easier commute back out to Hwy 90. No restrictions so mobile homes are welcome, as well as farm animals. Buyer to satisfy themselves as to lot size and dimensions. Listing courtesy of Coldwell Banker Residential Re. © 2019 Emerald Coast Association of Realtors MLS. All rights reserved. IDX information is provided exclusively for consumers' personal, non-commercial use and may not be used for any purpose other than to identify prospective properties consumers may be interested in purchasing. Information is deemed reliable but is not guaranteed accurate by the MLS or ResortQuest Real Estate. Data last updated: 2019-04-21T09:02:21.73. ResortQuest Real Estate has been a leader in the resort and residential marketplace for more than 35 years! We maintain office locations throughout Northwest Florida's Gulf Coast - many open 7 days a week - with our main office centrally located in the heart of Destin. © 2019 Central Panhandle Association of Realtors MLS. All rights reserved. IDX information is provided exclusively for consumers' personal, non-commercial use and may not be used for any purpose other than to identify prospective properties consumers may be interested in purchasing. Information is deemed reliable but is not guaranteed accurate by the MLS or ResortQuest Real Estate. Data last updated: 2019-04-21T09:04:44.73. © 2019 Navarre Area Board of Realtors MLS. All rights reserved. IDX information is provided exclusively for consumers' personal, non-commercial use and may not be used for any purpose other than to identify prospective properties consumers may be interested in purchasing. Information is deemed reliable but is not guaranteed accurate by the MLS or ResortQuest Real Estate. Data last updated: 2019-04-21T09:17:05.377.